Wednesday, December 20, 1911: Pa went to Sunbury this morning and I had all the barn work to do at noon and this evening, but I managed to get through with it at last. Picked out some walnuts for Xmas candy and then Mater had to go and swipe some to stick in some cakes for Jimmie. Maybe they’ll all be gone where they’re wanted. This year my husband and I have enjoyed eating foods mentioned in the diary that we hadn’t eaten in years. We picked the last of the black walnuts that we gathered last fall out of their shells last week-end. It’s the first year that we’ve gathered them since we were children. Next year we’ll need to collect more. I used the nuts to make a black walnut cake. The cake brought back warm memories of my childhood when I ate black walnut cake at reunions and church dinners. At those gatherings, elderly woman proudly brought black walnut (and hickory nut) cakes that they’d lovingly made using nuts that they’d gathered, hulled, cracked, and picked the nut meats out of. Cream the butter with powdered sugar and cold water. Add egg yolks, cinnamon, flour, and baking powder; beat until combined. Stir in the walnuts. Gently fold in the beaten egg whites. Put batter into a well-greased loaf pan and bake in a moderate oven (350 degrees) for approximately 40-45 minutes, or until wooden pick inserted in the center comes out clean. 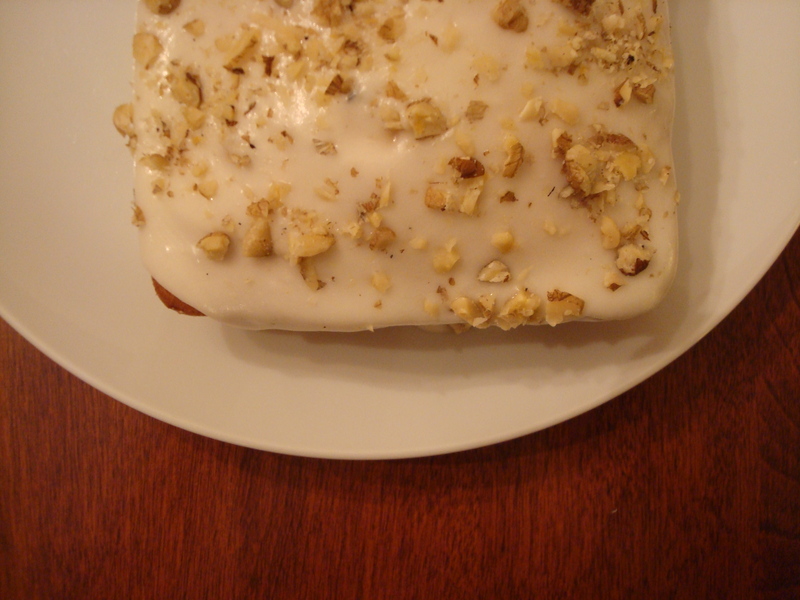 If desired, glaze with butter icing; sprinkle with additional finely chopped walnuts. Posted on December 20, 2011 August 30, 2015 by SherylPosted in Food, recipesTagged black walnut, cake. Thank you for the nice note. I really enjoy pulling the information together for this blog and always like to hear when someone enjoys it. I enjoyed looking at your blog and sent you an email. Thanks for sharing. It’s amazing how some things bring back wonderful memories. For me, the taste brings back wonderful memories of reunions and other family gatherings. I love coming across this post. We have a black walnut tree in the yard. So far…not been able to enjoy the nuts. They are green and quite hard. Is there a trick to when they should be gathered? Did you have a post of the walnut Christmas candy? This cake looks delicious…Christmas is coming! We just gather them when they fall off the tree. We hull them (take the outer shell off) when we gather them–and then spread them out to dry on newspapers for two months or so. They’ll be ready to crack by late November or early December. 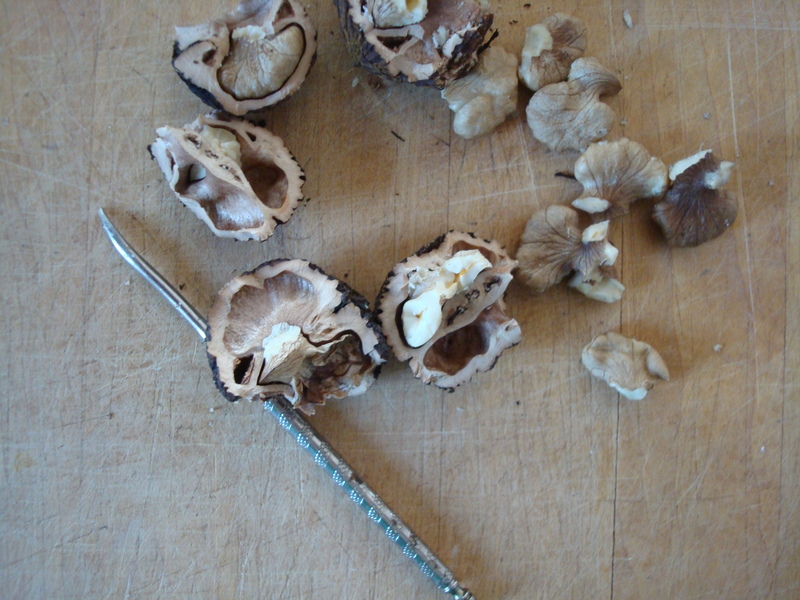 The nuts are difficult to crack, but I think that they are worth the effort. Last year the only recipe I made was the cake, but I’m thinking about trying to find a cookie or candy recipe this year. Stay tuned! Thank you for the info on the nuts! My husband will be happy to know as well. I will definitely stay tuned for the cookie or candy recipes…and more! I also remember wonderful hickory nut cakes–It’s been a long time since I’ve eaten any hickory nuts. I think that it’s a little late to find them this year, but I’ll have to forage in the woods next year and see if I can find any. Mmmmmmmmmm……….I love black walnut cake! Have 2 trees in my back yard now and will be gathering this weekend. I’ll need to use your recipe for a taste of childhood! You’re so lucky to have black walnut trees in your yard. Each year I gather a few black walnuts from trees in parks or other public lands –but I never feel like I should take very many since others may also want some. What an incredible post & blog. I will have such fun reading this. Thank you. Thanks for the nice note. It’s always wonderful to hear when reader enjoys this blog. The cake looks so good. That slice of cake would be tasty for sure with a cup of coffee. It is good! I have some black walnuts that I need to crack. I’m thinking I might crack them and make another cake this week-end. wow – I remember black walnuts, so much better than the ones I find in the grocery store. And well worth the effort to get the meat out. I remember that smell of that outer shell, and how it would stain my hands when I’d pull it off the nut. Such great memories!! My Mom made black walnut cake when I was a kid, and they were wonderful. I stumbled into some “store bought” black walnuts and recently tried your recipe. I must admit, that I didn’t follow the recipe exactly, but the cake turned out fine. It’s more like a heavy banana bread, but it certainly brings back childhood memories. You’re lucky that you were able to find black walnuts in the store. I was just saying to my husband the other evening (as we were trying to crack some black walnuts that we’d gathered last fall), that I thought that when I was a child that my mother bought black walnuts at the store, but that I hadn’t seen any in years. I’ll have to try this recipe. We love black walnuts, which remind my father of his childhood. His great-uncle lived on a piece of property with a walnut grove, and my father spent countless hours picking walnuts for the cakes and candies his grandmother used to make. At the time your father probably thought that picking the walnut bits out of the shells was a lot of work. But, experiences like that create wonderful memories. Sheryl, your recipe is a fond memory of staying over Friday nights at my Grandparents apartment in New York City, and having black walnut cake made buy my grandmother! No trees there! Must have bought the nuts at a market in New York. I actually sent away to: nutsonline.com to buy shelled black walnuts in a bag! $10. just so I could try to make her recipe. Not in any cookbook I could find! Your recipe sounds and looks perfect! Thank you sooo much! You’re welcome. I hope the cake tastes just like you remember. Oh, how I adore stories like this. Love history and the fact that we still keep trying to repeat all the perfect parts of it. Look forward to trying out the recipe! Thanks for taking a moment to write the kind note. It’s always wonderful to hear when someone enjoys this blog. 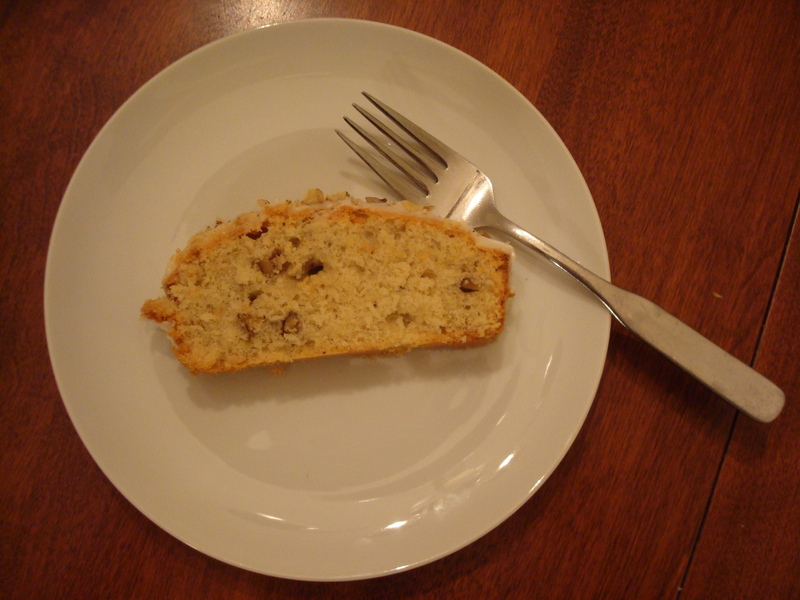 My aunt used to make black walnut cakes – a lovely and delicious memory through your post. I’m glad this post brought back some good memories. Sheryl, Best Wishes for the New Year as we approach 2014! I love this entry. Your Grandmother’s personality comes through. I wonder if she got a slice of the cake? Is there a difference in flavor between Black Walnuts and the ones more commonly available at supermarkets? Did you follow through with your husband to recreate more dishes you had in childhood? Black walnuts have a stronger flavor than the ones in the supermarket–but I think that they taste really good. Around here, there are black walnut trees in parks and along bike paths. My husband and I have continued to enjoy making old recipes. We gathered black walnuts again this year, and I recently made some really good Black Walnut Taffy. Great memories, my mom used to make cakes using black walnuts and hickery nuts when I was growing up, they were always a treat because we didn’t have a lot of money to be used on treats. I will try your recipe, but I have to use the nuts from the supermarket since we have no trees that can be harvested from, thank you for the memories. What is Butter icing? When I do a search for it all I see is Buttercream Icing. Combine all ingredients; Beat until frosting is smooth and of spreading consistency. Slowly add more milk if too thick. Note: Use care not to add too much milk at a time—it is very easy to end up with frosting that is too thin. If frosting becomes too thin, add more confectioners’ sugar.